The coastal city of Nha Trang in Khanh Hoa province, central Viet Nam, lies about 450km from Sai Gon city. 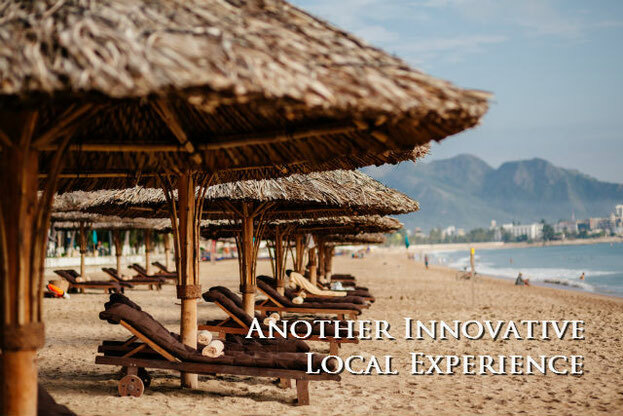 Nha Trang is endowed by nature with deep, quiet and warm waters all year round, surrounded by archipelagoes, islands, mountains and white sandy beaches. Nha Trang Bay has been recognized as one of 29 most beautiful bays in the world since 7/2003. Long Son Pagoda: Long Son is the largest of more than 20 pagodas in Nha Trang. Built at the end of the 19th century and restored in 1940, Long Son Pagoda features modern architecture and houses many precious sculpture artworks. Nha Trang Center, Dam market to buy some gifts for the ones we love.